Home / Green-Lantern-Corp / GreenLantern / Jessica-Cruz / Movies / News / Simon-Baz / Green Lantern Movie: Could a Muslim and Latina Become the New Green Lanterns? Green Lantern Movie: Could a Muslim and Latina Become the New Green Lanterns? 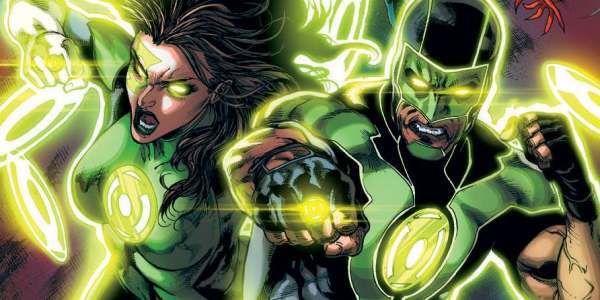 Fresh rumors suggest the "Green Lantern Corp" movie could feature Simon Baz and Jessica Cruz as the leads instead of Hal Jordan or John Stewart. The DC "Extended Universe" of movies has gone through some major reshuffling, but the movie focusing on the superhero Green Lantern and the intergalactic police force is still on. New rumors suggest the plot follows Green Lanterns Simon Baz and Jessica Cruz as they hunt for Hal Jordon. He's apparently lost in space without his ring and the two are sent to find him. Simon Baz is a Lebanese-American and Muslim from Michigan who is the new Green Lantern assigned to Earth's sector of space. Baz' was created by Geoff Johns and Doug Mahnke. After his debut in Green Lantern #0 Johns, who's Lebanese American himself talked about the importance of the character. "You can see Michigan and everything in it, from the cars to the closed factories to the city to the diversity," John told USA Today. "I'm hoping to create a really compelling character who's from Dearborn that people from Dearborn and the surrounding area are really proud of and excited about." The character is a big departure from other DC superheroes because he's first introduced as a car thief, regularly carries a gun and has the Arabic word for "courage" tattooed on his arm. Baz and Cruz currently star in the comic book series "Green Lantern Corps". The movie has been in the works for years and "Batman Begins" and "Man of Steel" screenwriter David S. Goyer was hired to write the script alongside writer Justin Rhodes. According to reports, Warner Bros. has a director in mind for "Green Lantern Corps" and an announcement is coming at San Diego Comic-Con. Slashfilm reported that Goyer might also serve as the director. While Green Lantern has been a popular character since the 1960s the first attempt at a live-action movie in 2011 crashed and burned. No casting has been announced but the reboot is rumored to star Chris Pine and Tyrese Gibson as Hal Jordan and John Stewart respectively. We'll see the new one can succeed where the others have failed. Starting out with a relatively unknown pair of minority characters would be a bold move. The "Green Lantern Corps" movie is scheduled to be released in 2020. What do you think of the plot of "Green Lantern Corp"?